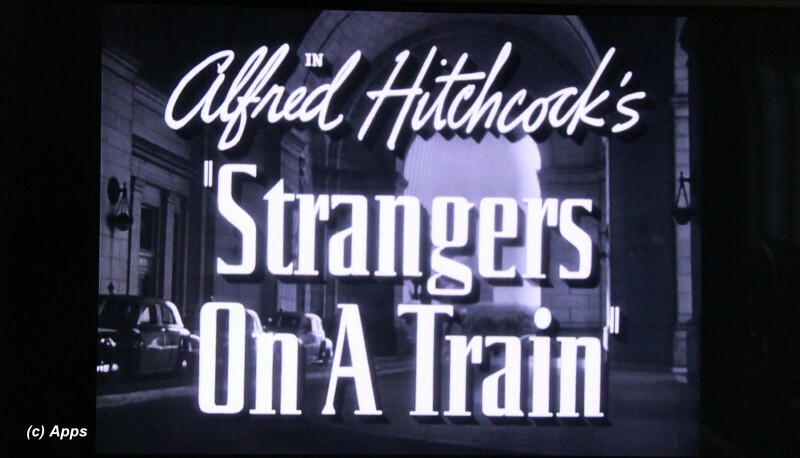 Strangers on a Train is a 1951 American psychological thriller film noir produced and directed by Alfred Hitchcock. The film is based on the 1950 novel of the same name by Patricia Highsmith. 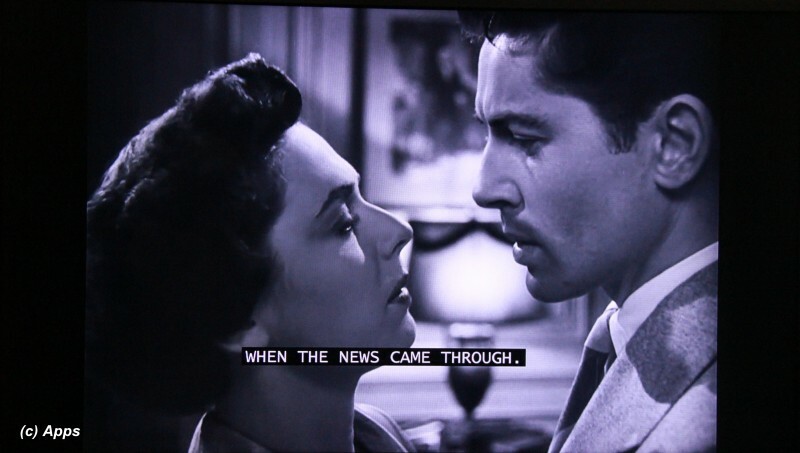 It stars Farley Granger, Ruth Roman, Laura Elliott and Robert Walker in the lead roles. Alfred Hitchcock's daughter Patricia Hitchcock also stars in the movie. And the theatrical poster when the film was released. I have seen very very few of Alfred Hitchcock movies due to the nature of the genre he uses - psychological thrillers / horrors. I can count on my hands how many so far I have watched - the 1935 British spy thriller The 39 Steps (My review here), the 1938 British mystery thriller The Lady Vanishes (My review here), the 1954 American mystery thriller Rear Window (My review here) and the 1960 American psychological thriller Psycho. Psycho was by far the scariest for me of those that I watched. I had nightmares for a few weeks and was scared to shower comfortable for a while. His movies do leave an impact on human mind. 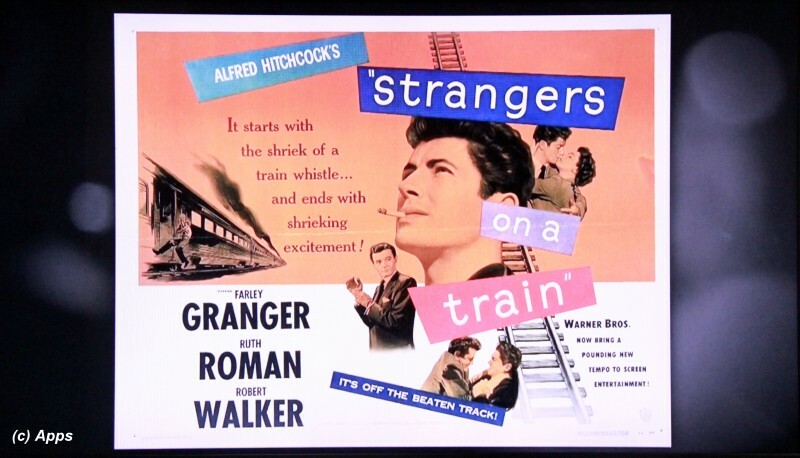 In any case, I came across this film, Strangers on a Train, playing on Turner Classic Movies TV channel a while ago and ended up watching it. Not because I was interested in the thriller, but more because I had heard the phrase "just like Strangers on a Train" in many crime shows, or used by detectives or victims on those TV shows. Knowing the plot of the story by reading Wikipedia is different as opposed to watching the actual movie and understanding the phrase. Everyone perhaps knows the story by now, so no point in rambling about the actual plot. But for the benefit of those who haven't watched it, here is a 10,000 foot overview. The story is about two strangers who meet on a train - a successful tennis player and a charming psychopath. The psychopath suggests that since both of them have someone they want to get rid off from their lives, they should exchange their murders in order not to be caught. 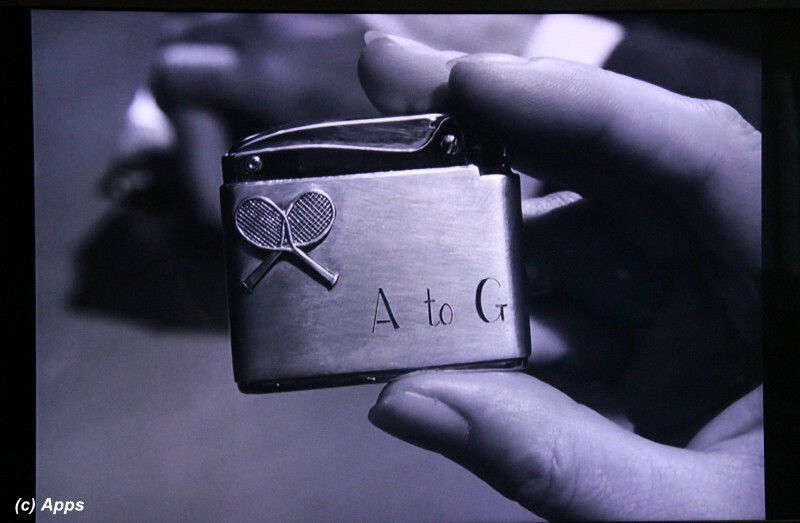 However, when the psychopath commits the first murder, he stalks, threatens and tortures the tennis player to honor his share of the bargain. And that my friends, is the gist of the plot. The book the film was based was the first published book of Patricia Highsmith famed for her psychological and sociopathic thrillers. She had written 22 novels and had countless number of short stories to her belt; many of whom have been adapted to movies. Despite her successful writing she is rarely mentioned along-side other famous authors of her time like James M. Cain, David Goodis, etc. only perhaps she being a woman. Her most noted sociopathic character was Tom Ripley who appears in five of her novels as well as movies based on those novels. 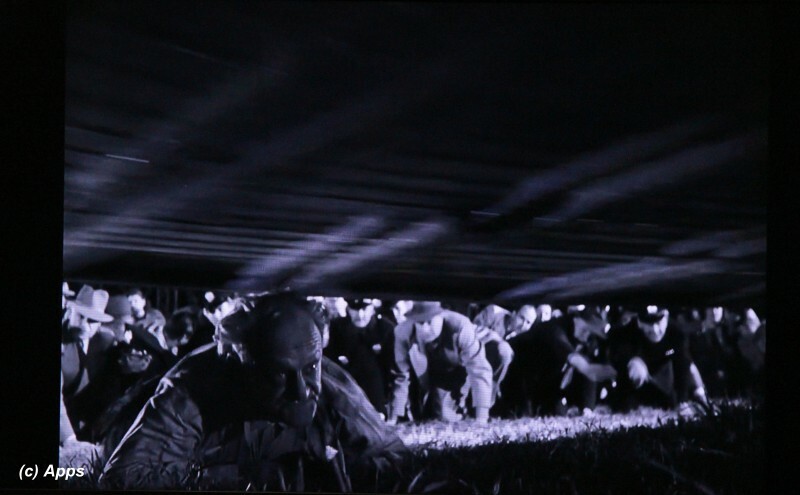 At the time this film was made, Hitchcock had suffered back to back failures with his previous two films - Under Capricorn and Stage Fright. This was a fitting film for such a master to revamp his career where he wanted it to be. However he had a tough time securing screenwriters. Finally he turned to a virtually unknown writer - Czenzi Ormonde - who had been a researcher and secretary for Ben Hecht and dialogue writer for Sam Goldwyn. Along with Alma Reville - Hitchcock's wife - and Barbara Keon - Hitchcock's associate producer - produced a screenplay that unsurpassed any before for Hitchcock. 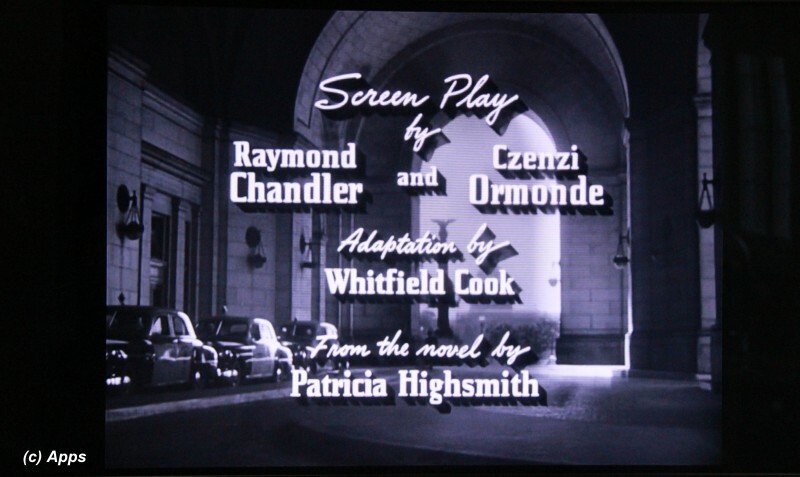 However if you notice the opening credits, Raymond Chandler is still mentioned for the screenplay despite what Hitchcock or Chandler wanted. Apparently Warner Brothers trumped them both. There were quite a few changes made as the characters were brought from page to screen. To name a few - the introduction of glasses for Miriam, Guy Haines becoming a softer version and innocent, Guy Haines becoming a tennis player, the famous climax scene in the carousel, the signature cigarette lighter. 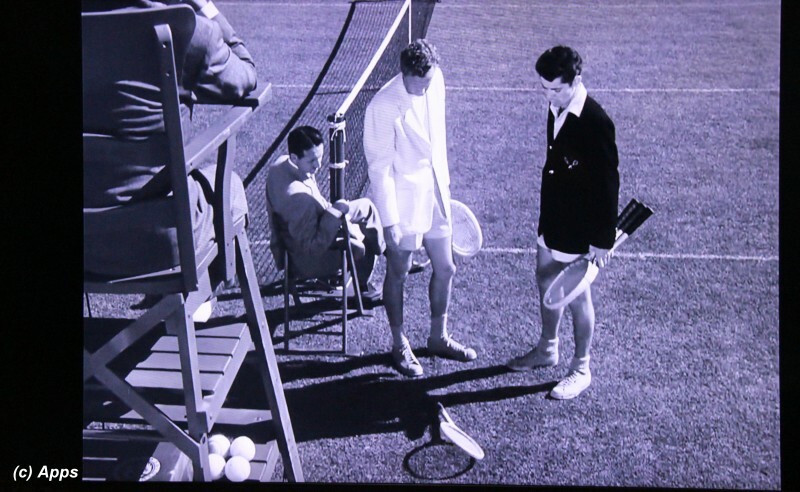 Farley Granger portrays the young tennis player Guy Haines who is easy going and almost the bright side to the darkness that Bruno Antony, portrayed by Robert Walker, was. Yet Guy has so much common with Bruno that one would think perhaps Bruno was his evil alter-ego. Both actors have excelled in their roles for the viewer to see Guy and Bruno rather than Farley and Robert. 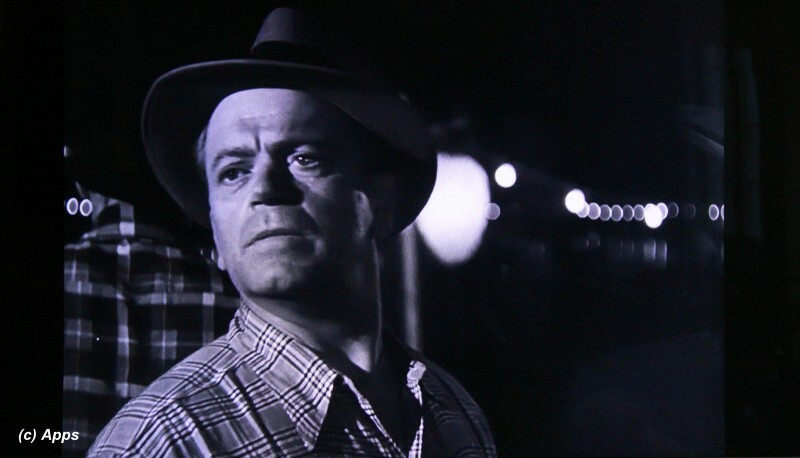 Hitchcock went with Robert Walker for Bruno even though Walker had come out of a recent public breakdown and was out of a sanitarium. Hitchcock's bet paid off. I don’t think anyone else would have played Bruno and lived through it. 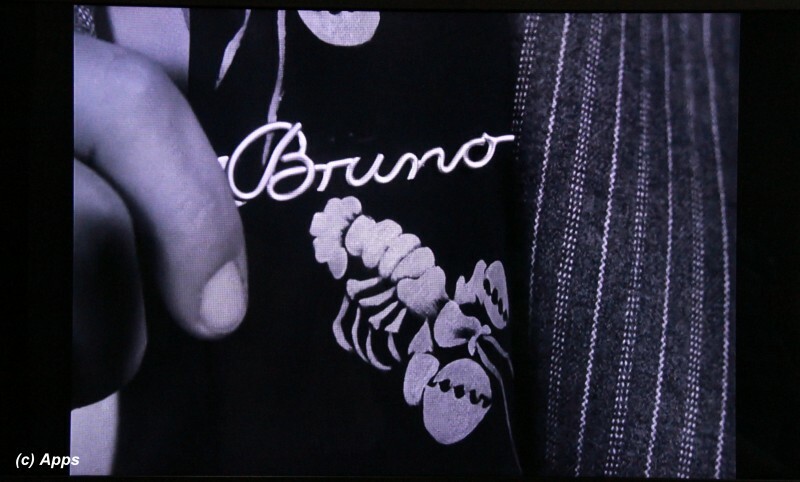 There is also a subtle undertone of homosexuality in the plot with Bruno showing mild interest in Guy. It was interesting to see that a straight guy played with a flair of gay in him while a gay actor played the part of a straight protagonist. I fail to remember which movie I had seen Robert Walker in other than this but when I checked his filmography I havent seen any of his movies that he acted in. Sadly he had acted in only few movies and had passed away at a very young age of 32. But it beats at my brain as to where I saw this actor before. Laura Elliott who plays the role of Miriam, the promiscuous wife of the tennis player, is credited as thus although born as Josie Imogene Rogers aka Kasey Rogers. She worked under the names Laura Elliott or Laura Elliot while working on films for Paramount Pictures. However neither Farley Granger nor Ruth Roman were his first picks for his lead actors by Hitchcock. He was pressed to accept them as the roles. He felt that Ruth was too common while Farley lacked in virile masculinity. 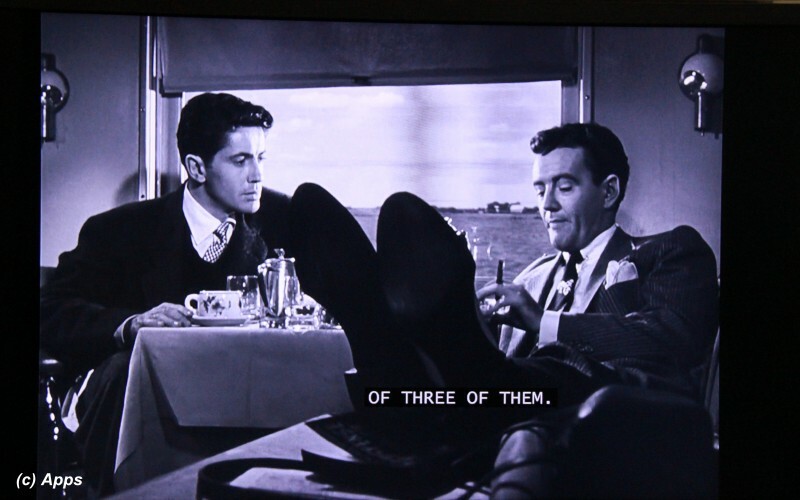 However, sitting in the viewer's chair I would say Hitchcock again lucked out with these two actors. 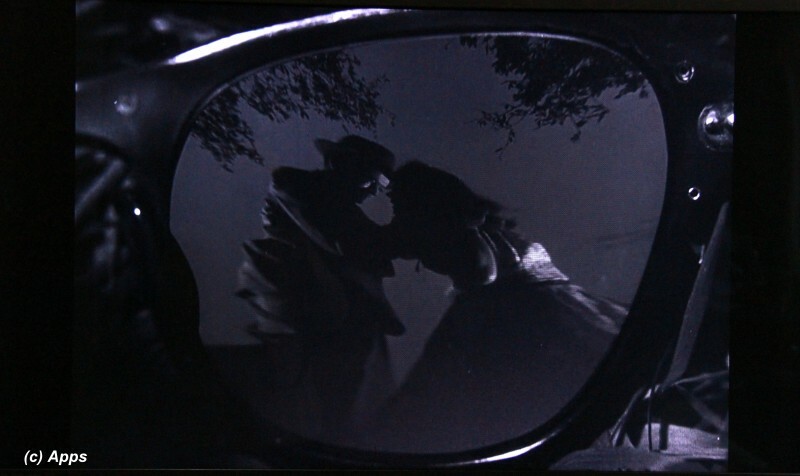 Just like every movie Hitchcock has, even in this movie there is that iconic scene that would sum up the entire movie - Bruno Antony, the charming psychopath, murdering Miriam, the promiscuous wife of the tennis player; shown to the viewer as a reflection in Miriam's eye glass lens. Cameraman Robert Burks had nailed it effectively. Not showing the murder directly, somehow makes it more real and happening to the viewer, shoving chills up the spine. This was the first collaboration between Hitchcock and Robert Burks, who then together have many more movies to their names later. Along with being very meticulous on what each character wore or ate or looked on screen, Hitchcock had the penchant to introduce his cast rather dramatically. 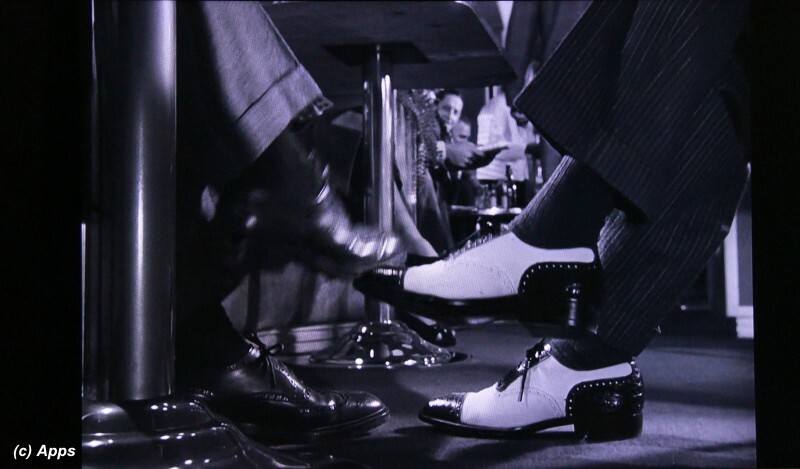 Here he has Guy and Bruno shown first only though their shoes until Guy's shoes accidentally taps Bruno's shoes on the train. As I mentioned earlier, that I had heard the phrase "just like Strangers on a Train.." in quite a few crime shows on TV or the shows being based on the plot. I remember at least three such episodes from three different TV shows. First is the episode "Double Down" from the TV series Castle's Season 2 Episode 2 (My review of the series here). Second is the episode titled "Bedfellows" from the TV series Law & Order: Criminal Intent Season 6 Episode 4. Third is the episode titled "C.O.D." from the TV series Law & Order Season 14 Episode 24. For a movie such as this unfortunately had received only one Academy Award Nomination for Best Cinematography. None the less it is a classic in my books and one of the few Hitchcock films that I could watch without closing my eyes or feeling shivers through my bones. Oh finally don’t miss Alfred Hitchcock's cameo appearance in the film. 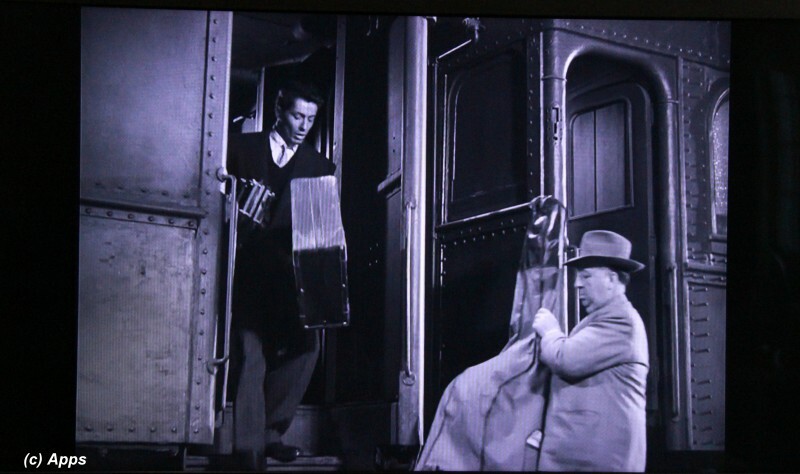 Approx 11 minutes into it, he is seen carrying a double bass as he climbs onto a train. Note: Eddie Muller had given the introduction as well as post-movie narration sharing quite a few tidbits on the movie. A few I could capture here in my review. 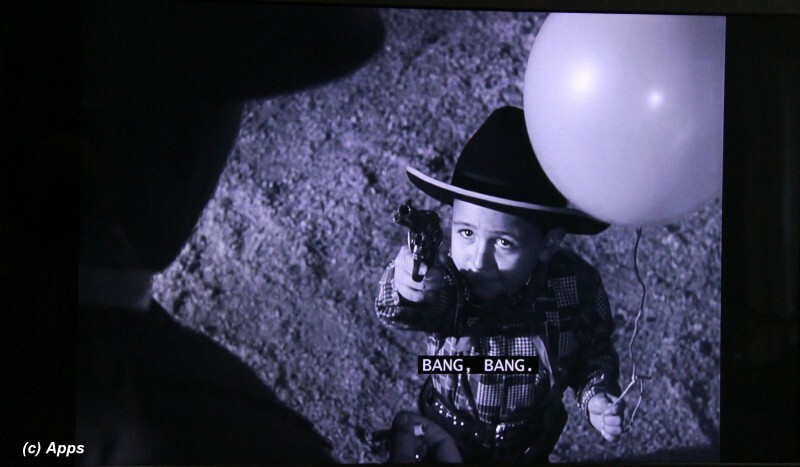 1) The little boy whose balloon Bruno pops rather cruelly in the amusement park murder scene, was played by the 1950s child actor Young Louis Lettieri. 2) Note Bruno's neck tie - it is looks like strangling lobster claws upon close inspection. It was designed by Hitchcock himself. 3) The guy who goes underneath the carousel to get to the controls in the final climax fight scene was done by the actual carousel operator and not any actor casted for that role. 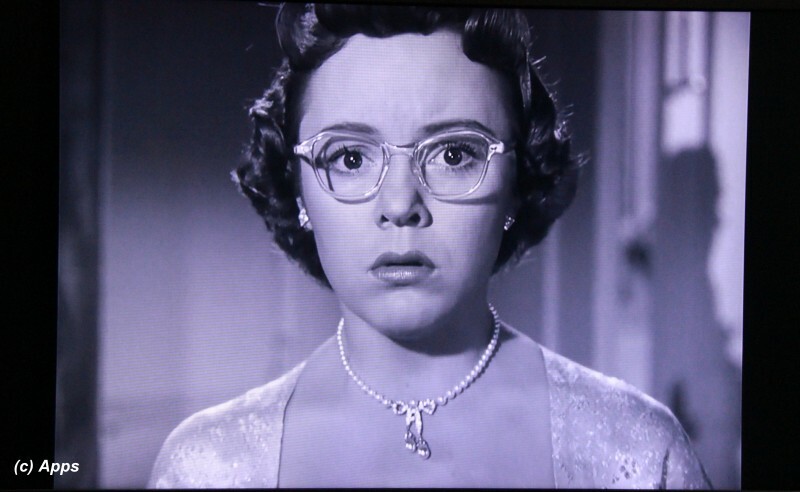 4) Patricia Hitchcock, daughter of Alfred Hitchcock plays the role of Barbara Horton, Anne's sister in the movie. 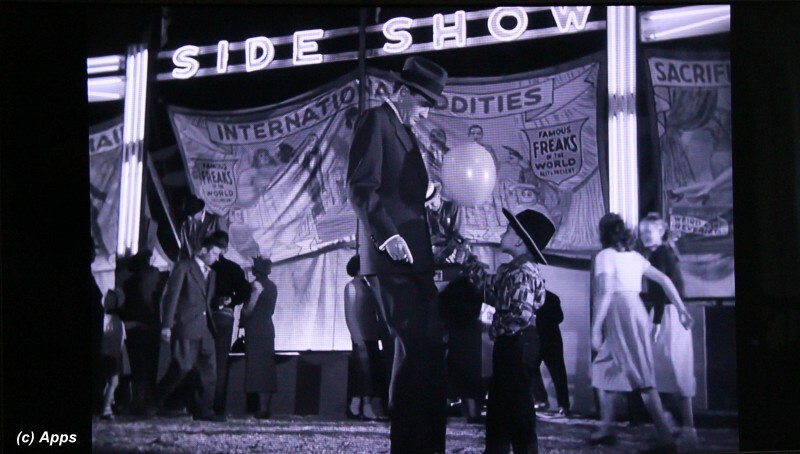 5) The carousel guy who recognizes Bruno at the end also looks familiar. And once again I failed to remember where I had seen him before. 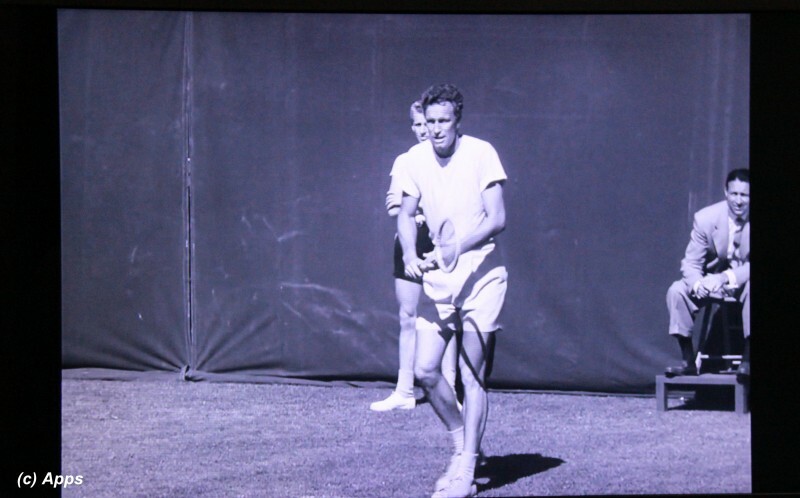 6) The opponent Fred Reynolds in the tennis match scene was played by tennis pro Jack Cushingham. 7) The toss of tennis match using a tennis racket was for the first time I was seeing it. I came to know that earlier toss was indeed done using a tennis racket.